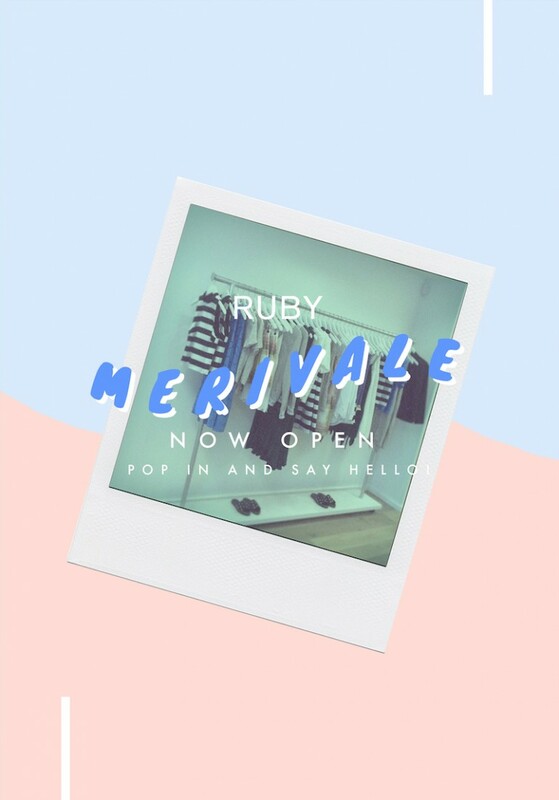 We're so excited to open the doors on our ninth store today in Christchurch's Merivale! We'll be open Monday - Friday 9.00-6.00pm, Saturday 10-5pm and Sunday 11-4pm. 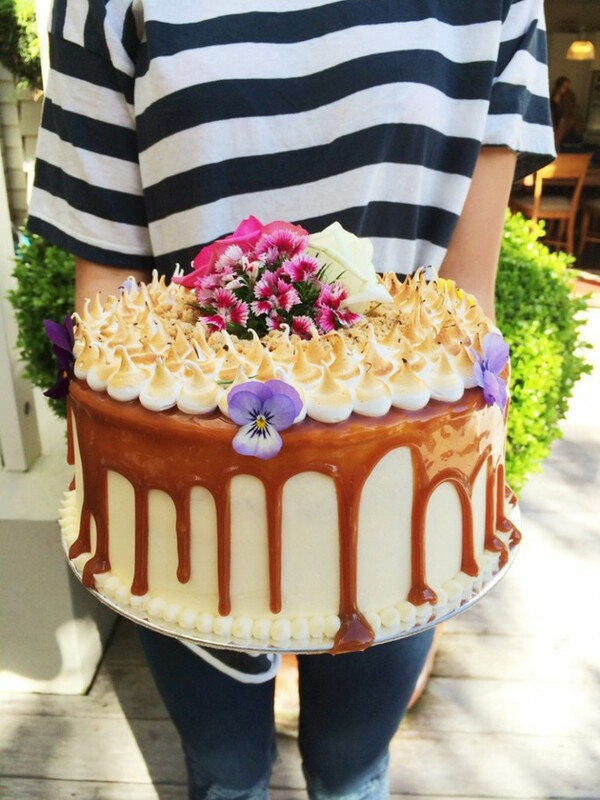 How did your love of baking come about? I've always been very fond of baking and creating things. My mum bought me a kid's cookbook for my 8th birthday and I ended up baking every recipe in that book! I haven't really left the kitchen ever since. Cake! I love how versatile they can be and that you can add as many flavours or textures you like and it will always end up tasting delicious. I also love tarts and pastries. I absolutely love French patisserie and little, individual sweet treats. 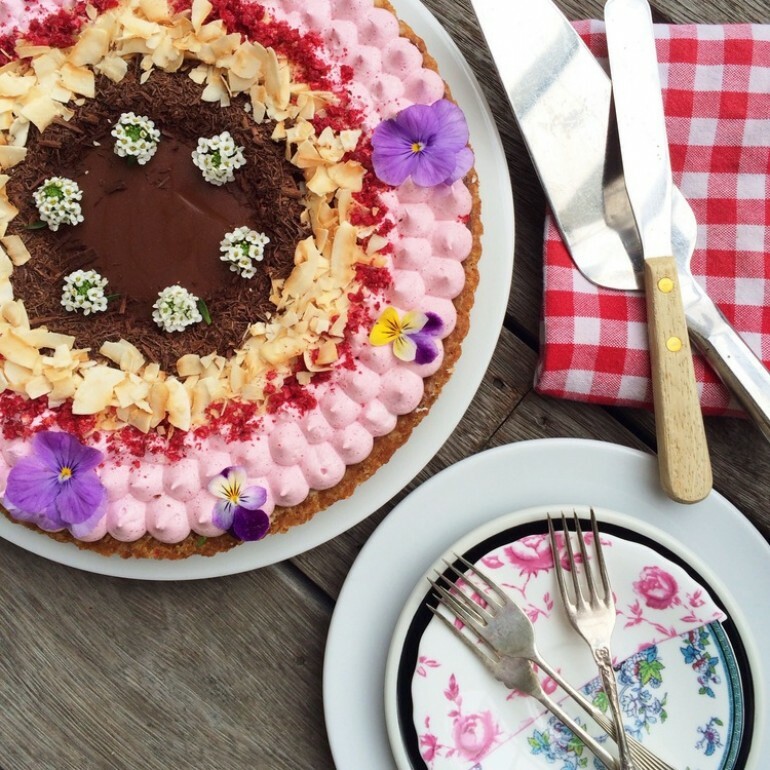 What are your 'must follow' baking Instagram accounts? majachocolat is a favourite who is based in Copenhagen. She uses all different kinds of chocolate in very clever ways, which I absolutely love. 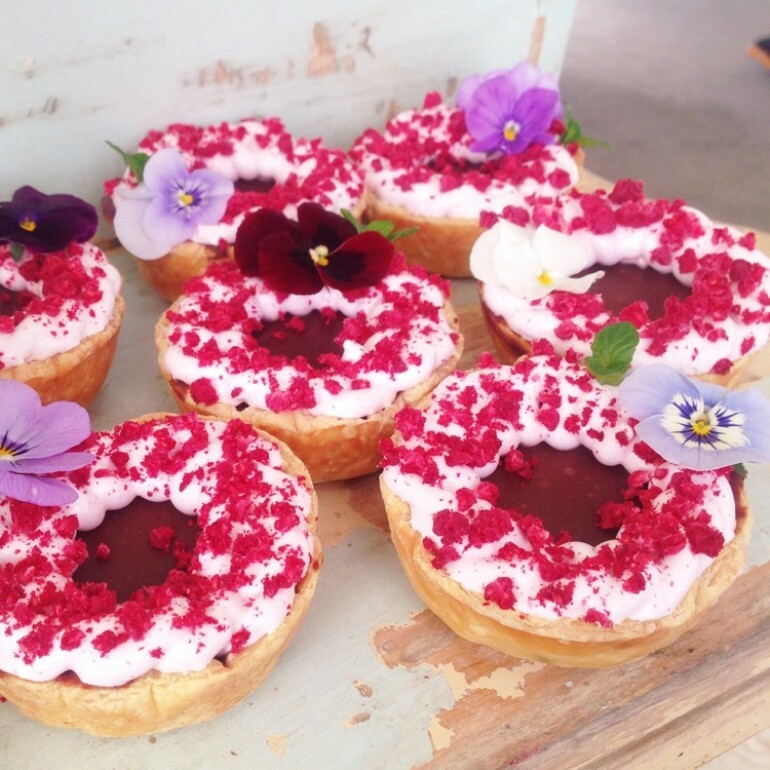 Another favourite is beatrixbakes, who is based in Melbourne. 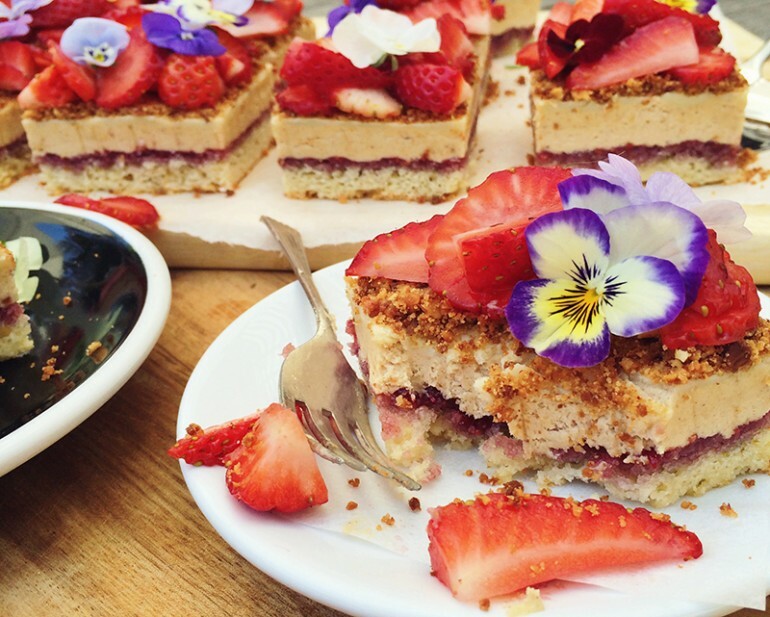 I really like their rustic take on baking and their unusual twists on classics. It's definitely a mix between French patisserie and classic home baking. I enjoy baking a variety of flavours and textures all with fine details however it's not totally complicated like French patisserie. My baking incorporates a lot of simple skills and techniques used in everyday home baking. What tools can you not live without in the kitchen? My cake slicer!!!!!! I used to ruin every cake I made when I tried to slice it with a knife though the middle, and the layers would always end up wonky and uneven, so as a present my dad got me a special cake slice which makes perfect pieces. You’re having a summer tea party for your friends, what’s on the menu? I'd probably have a couple of different mini cakes/cupcakes with lots fruity fillings (strawberries, raspberries) and lemony/limey icings, and little puff pastries with this really good nectarine and strawberry filling that I make batches of every time they come into season! I'd also have a nice big jug of cold, homemade rosewater and thyme lemonade, or some sort of watermelon and mint concoction! What are the top five things that you love about summer? RIPE AND JUICY NECTARINES! (my most favourite fruit ever), tanning with a really nice cold homemade fruity iced tea, no school which means I can bake whenever I want, sunny weather (which also makes the lighting for food pictures better haha), and going away to my bach with friends. What's next for Melie's Kitchen? I'd like to hopefully open my own store one day or even write a cookbook! As I get older, I'd really like to continue into the food industry, I can't imagine myself doing anything else! Preheat oven to 170c. Butter and line a slice tin with baking paper. Sift together flour, almond meal, baking powder, baking soda, and salt in a medium bowl. Set aside. In another bowl, beat butter and sugar with an electric beater until pale and fluffy, then beat in vanilla. Add egg and beat until combined. At low speed, beat in buttermilk until just combined (it will look a little bit curdled). Add flour mixture and mix gently until combined. Spread cake batter evenly in the slice tin and bake in the oven for about 15 minutes or until a skewer inserted comes out clean. Set aside in the tin to cool completely. Gently remove from the tin and peel away the baking paper from the sides only. Carefully slice the top off the cake with a large serrated knife so that you have a flat surface. Spread the jam evenly over the cake. Set aside while you make the malt and almond filling. Whisk together butter, almond butter and icing sugar until light, pale and fluffy (about 5 minutes). While the butter and icing sugar are whisking, stir together the milk and dark brown sugar then microwave for 10 seconds to dissolve the sugar slightly, it doesn’t matter if its not fully dissolved. Leave to cool slightly. After 4-5 minutes of whisking your butter and icing sugar, add 4 tablespoons of the milk mixture (discard the remaining), along with the malted milk powder, and salt. Beat for another 2-3 minutes. Place the almonds in a food processor and pulse until the almonds resemble fine breadcrumbs. Set aside. Mix the remaining ingredients together in a bowl until combined. Mix in the finely chopped almonds, using your fingertips to rub the almonds into the mixture. Sprinkle over a baking tray lined with baking paper and bake for about 8 minutes until golden brown. Set aside to cool. Once cool, crumble it up with your hands until it is a sandy-like texture. Place the white chocolate in a heatproof bowl and microwave for 30 seconds. Remove and give it a good stir. Return to the microwave for another 20 seconds, remove and stir again until smooth. Spread over the cake in a thin layer, and then evenly sprinkle over the almond sand to cover the white chocolate. Place back in the fridge to set for a good 2-3 hours if you have time. The firmer the cake is the easier it is to cut. Once it has fully chilled, carefully remove from the tin. Run a large knife under hot water for a couple seconds then slice the cake into squares, re-heating the knife after each slice. 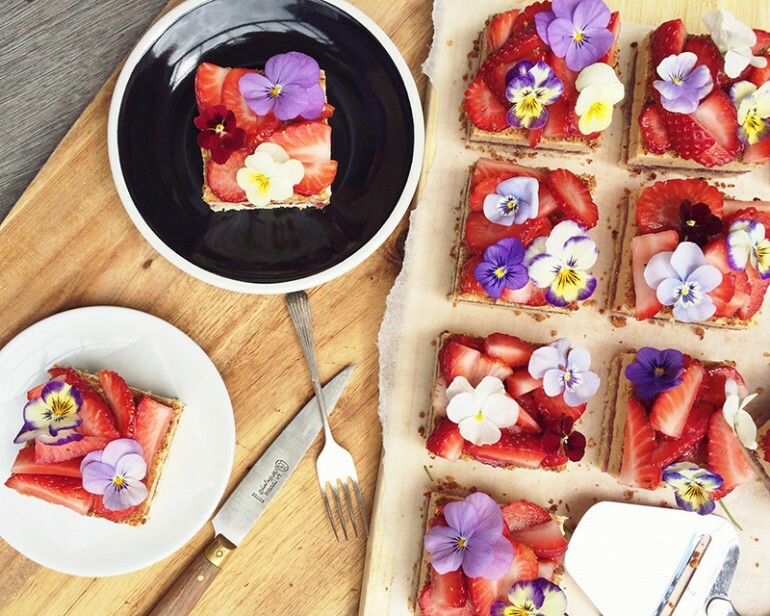 Decorate with chopped strawberries and edible flowers if desired. Store in an airtight container in the fridge. Our much-anticipated RUBY Resort collection has arrived at all RUBY stores today! 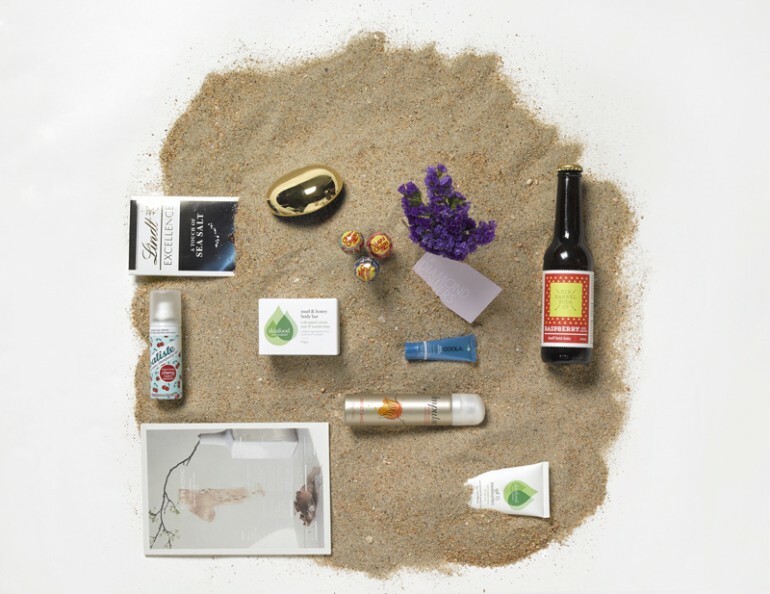 To celebrate the arrival of RUBY Resort, the first 150 purchases nationwide today will receive this very special goodie bag filled with our summer essentials. Each bag is valued at over $60 so we suggest you run, don't walk!